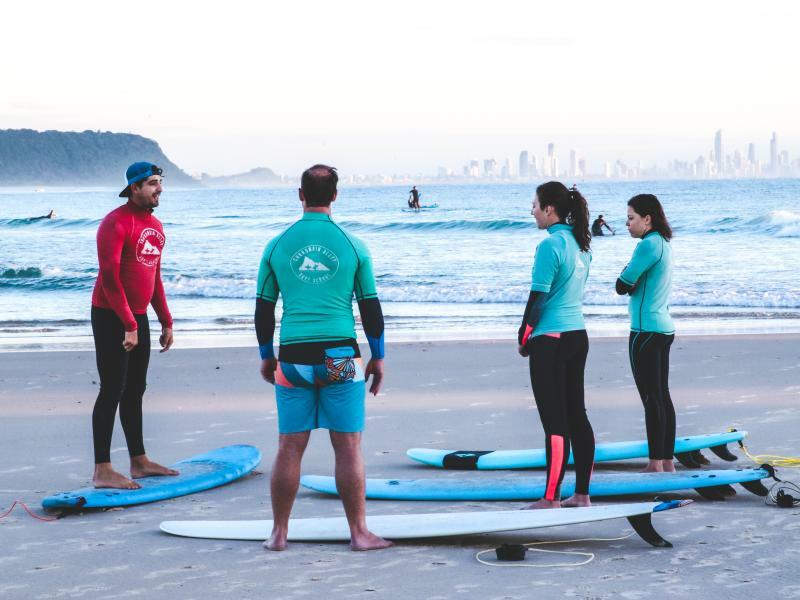 Although you learn to surf in a group, you will still receive individual attention and feedback as there will only be a maximum of 8 people per 1 instructor. For larger groups, we will have additional instructors on hand to help ensure you are receiving adequate instruction. Please note we normally like to separate kids and adults into separate groups however if you have a mixed child/adult group and would like to surf together please let us know. Check out our timetable here for class days and times. Currumbin Alley. Meet in the carpark opposite the Marine Rescue Building and look for our big surf school truck. 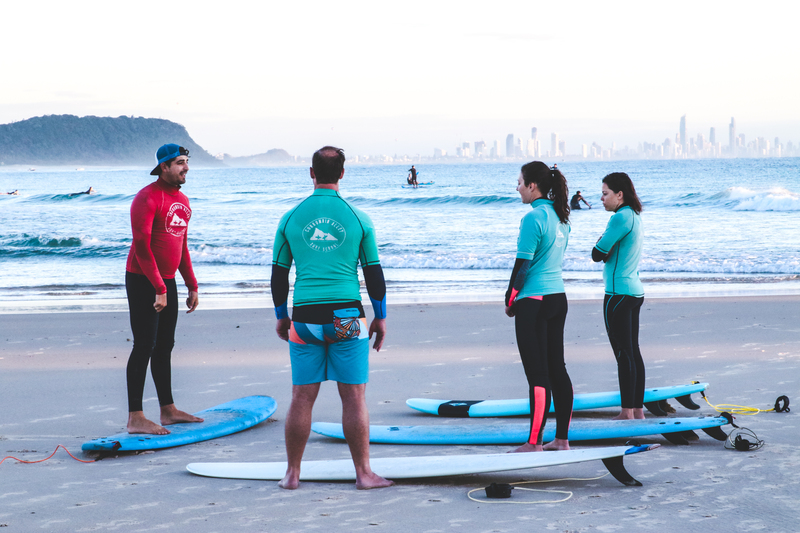 For directions type ‘Currumbin Alley Surf School’ into google maps. Anyone 5 years or older. Please note we normally seperate adults and kids into separate groups.